Need some new makeup? 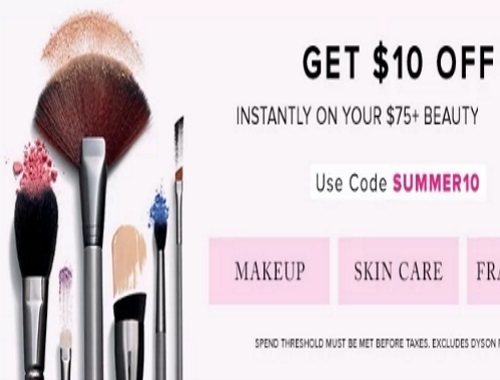 Hudson's Bay is offering $10 off any beauty purchase of $75 or more right now! Enter the promo code SUMMER10 at checkout to get the discount. Offer excludes Dyson. Offer is valid today only, Thursday June 1, 2017.